Swiss banks fear heavy fines they expect to pay to settle a long-running dispute with US authorities over helping wealthy Americans evade tax could hit smaller lenders particularly hard, sources said. Finance Minister Eveline Widmer-Schlumpf said on Saturday that Switzerland was on the brink of a deal that would be painful for banks, although she declined to say how big fines might be. Swiss media have reported total fines for the industry could reach $10 billion. The Swiss government has been in protracted talks to end US investigations into about a dozen Swiss banks, including Credit Suisse and Julius Baer, in return for expected fines and a transfer of client names to US authorities. It is also seeking a settlement for the rest of the country's 300 banks. One senior Swiss banker, who declined to be identified because the talks are ongoing, said those banks already under investigation could agree individual settlements, including fines, in coming weeks. Client names would be handed over at a later date. Credit Suisse and Julius Baer declined to comment. Credit Suisse has already made a 295 million Swiss franc ($303.81 million) provision towards a settlement, while analysts have predicted Baer might have to pay 200-500 million francs. A second group of banks, not yet under formal investigation, could be stung with fines of 30-40 percent of their untaxed US assets, the senior banking source said, compared with an expected 10-15 percent for the first group. "That could threaten the existence of some banks," said another top banker, who also spoke on condition on anonymity. "That will be a very bitter pill that will hit smaller banks particularly hard." A third industry source said as many as 60 banks could fall into this category. Banks were being given the choice to opt into this group, with those who do not sign up leaving themselves at risk of future US prosecution, a fourth banker said. Martin Maurer, head of the Association of Foreign Banks in Switzerland, warned against panic, saying it was not yet clear how the asset base for the fines would be defined. "A fine of 30-40 percent appears at first glance to be almost indecently high. But it ultimately comes down to exactly how the base will be defined for the calculation of the relevant US assets," Maurer told Reuters. 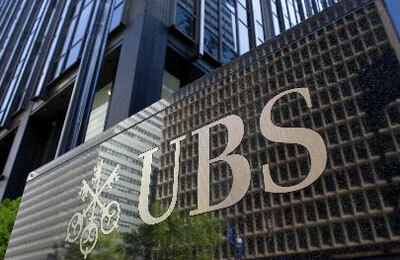 The country's biggest bank UBS was forced in 2009 to pay a fine of $780 million and hand over the names of more than 4,000 clients, delivering the US authorities information that allowed them to then pursue other Swiss banks. Switzerland's oldest private bank, Wegelin & Co, said in January it was closing down after pleading guilty to helping Americans evade taxes, paying a fine of nearly $58 million. The Swiss Bankers' Association, the Swiss financial market regulator Finma and the Swiss finance ministry declined to comment on details of a potential deal.